This is a list of movie recommendations of movies similar to Easy A. Bear in mind that this list is in no particular order. 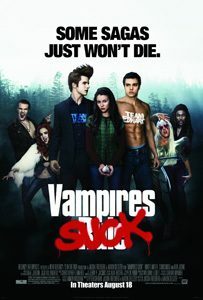 Becca (Jenn Proske), an angst-ridden teenager, is torn between two supernatural suitors: vampire Edward (Matt Lanter) and werewolf Jacob (Chris Riggi). But she must find a way to evade her controlling father, who treats her like a helpless child. Meanwhile, her friends contend with their own romantic issues, leading to a confrontation at the prom. High school was hell for Marni (Kristen Bell), so she is horrified to learn that her brother’s fiancee is Joanna, the nemesis of her teen years. Marni intends to expose Joanna’s evil side to her family, but the situation really explodes with the arrival of Joanna’s Aunt Ramona (Sigourney Weaver), who was the high-school rival of Marni’s mother (Jamie Lee Curtis). When both older women revert to their teenage personas, the result is extreme wedding turmoil. Adored by his single mother and his little brother Sam, Charlie St. 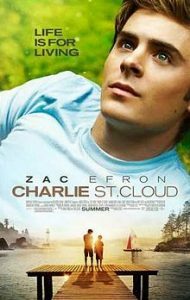 Cloud (Zac Efron) is an accomplished sailor and college-bound senior with a bright future ahead of him. When Sam dies in a terrible accident, Charlie’s dreams die with him. But, so strong is the brothers’ bond that, in the hour before each sunset, Charlie and Sam meet to play catch. The return of a former classmate (Amanda Crew) leads Charlie to a difficult choice: remain stuck in the past, or let love lead him to the future. 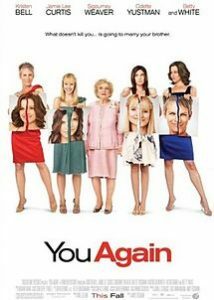 After discovering they are all dating the same guy (Jesse Metcalfe), three popular students from different cliques band together for revenge, so they enlist the help of a new gal in town and conspire to break the jerk’s heart, while destroying his reputation. Mike O’Donnell (Matthew Perry) was a high-school basketball star with a bright future, but he threw it all away to marry his girlfriend and raise their child. Almost 20 years later, Mike’s marriage has failed, his kids think he’s a loser, and his job is going nowhere. 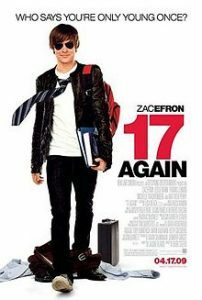 He gets a chance to correct themistakes of his past and change his life when he is miraculously transformed into a teenager (Zac Efron), but in trying to fix his past, Mike may be jeopardizing his present and future. His heart recently broken, plastic surgeon Danny Maccabee (Adam Sandler) pretends to be married so he can enjoy future dates with no strings attached. His web of lies works, but when he meets Palmer (Brooklyn Decker) — the gal of his dreams — she resists involvement. Instead of coming clean, Danny enlists Katherine (Jennifer Aniston), his assistant, to pose as his soon-to-be-ex-wife. Instead of solving Danny’s problems, the lies create more trouble. Viola Johnson (Amanda Bynes) is in a real jam. Complications threaten her scheme to pose as her twin brother, Sebastian, and take his place at a new boarding school. She falls in love with her handsome roommate, Duke, who loves beautiful Olivia, who has fallen for Sebastian! As if that were not enough, Viola’s twin returns from London ahead of schedule but has no idea that his sister has already replaced him on campus.